Nursing Room - Grey Cardinal Management Inc.
Grey Cardinal provided design procurement and coordination, construction budgeting, tender support and contractor management for The Nursing Room at the Halifax Stanfield International Airport. 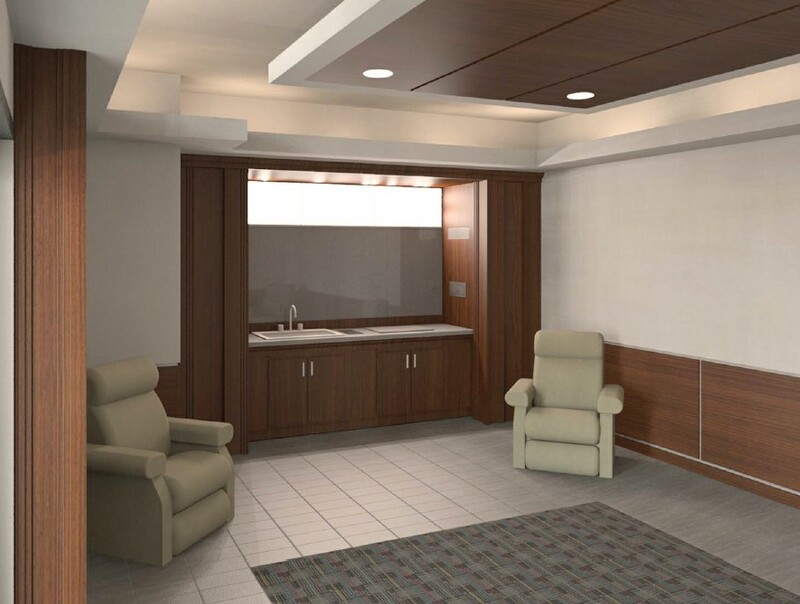 The Nursing Room was designed to provide comfort and privacy for Nursing parents visiting the airport. The room has four Best Chair swivel glider recliner nursing chairs. Frosted glazing was selected to provide privacy, while letting in plenty of light, giving the room a warm welcoming feel. The room contains floor tile with a centre carpet tile section, with wood wall panels matching the built-in ceiling high millwork, containing a sink and backlit mirror.